Manny Lopes of East Boston has been appointed to chair of Boston’s Board of Health, a seven-member governing body that oversees the work of the Boston Public Health Commission (BPHC). Lopes succeeds Dorchester’s Francis Doyle, who stepped down in October from the Board to assume a leadership role within the Massachusetts Department of Public Health. Lopes currently serves as president and chief executive officer of East Boston Neighborhood Health Center (EBNHC), one of the largest community health centers in the country. 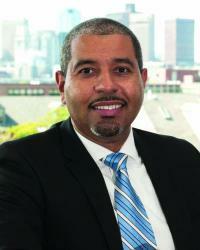 He becomes the first person of Cape Verdean descent to be named Chair of the Board of Health in Boston. For more information on the Board of Health, please visit bphc.org/boardofhealth.